Pick a custom massage and retreat from a world of decision making to one where all the decisions are made for you! Call us if you have questions about any of our services. Designed especially for reducing tension in the upper body area. Reduce life’s pressures with this great pick-me-up massage for the person on the go. Targets specific areas that may go unnoticed from the lower back to the feet. This service provides maximum effectiveness for this part of the body. Want to share relaxation time? 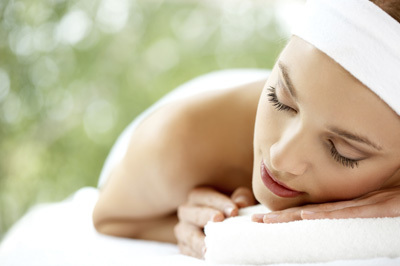 Our side by side massage with two of our therapists will make your treatment the perfect escape. Feel pampered and nurtured with this treatment specifically designed for expectant mothers. This therapy targets the neck, back and weight-bearing joints to relieve stress, reduce swelling and increase circulation. This gentle relaxing therapy is designed specifically for the neck and shoulder area to reduce tension, relieve stress, reduce swelling and increase circulation. Designed to reduce swelling in the legs/feet and increase circulation while relieving tension and leaving mom feeling pampered. Let us whisk you away with this smooth, flowing and gentle technique. Stress will decrease as you begin to feel the benefits of increased circulation and relief of muscle tension. Focused on the deepest layers of muscle tissue, tendons and fascia, this massage is beneficial to these particular areas and is perfect for working out those stubborn knots, but not limited to athletes and to our very physical client! This therapy melts away tension, eases muscles stiffness and increases circulation and metabolism. The warm stones allow direct heat combined with protocols of the full body massage that give a sedative effect that can relieve chronic pain and reduce stress and promote deep relaxation. Take your therapeutic massage to a deeper focus with a CBD Oil infused massage. A new add-on option for clients seeking a natural alternative to treating conditions such as chronic pain, anxiety and digestive disorders to name a few. Additionally, CBD oils have been a target to treat arthritis pain. Its rapid absorption into the skin (as soon as 15 min) can provide results up to 8 hours. Ask us for more details about this popular treatment!